We started running Blind and Visually Impaired tennis sessions in September 2012 and these take place at David Lloyd Tennis Centre, York every Sunday. Blind/VI Tennis is still in it’s infancy with rules still being finalised and tweaked constantly, but progress is being made very quickly. Blind/VI Tennis is played on a smaller court with foam balls containing a rattle and smaller rackets. Line markings are placed down to enable players to feel their position on court. Whether you are partially sighted or blind please come along and give it a go. You could be a potential champion. Fully sighted players who would like to support this venture in volunteering time to play alongside the Blind/VI players are always welcome too. 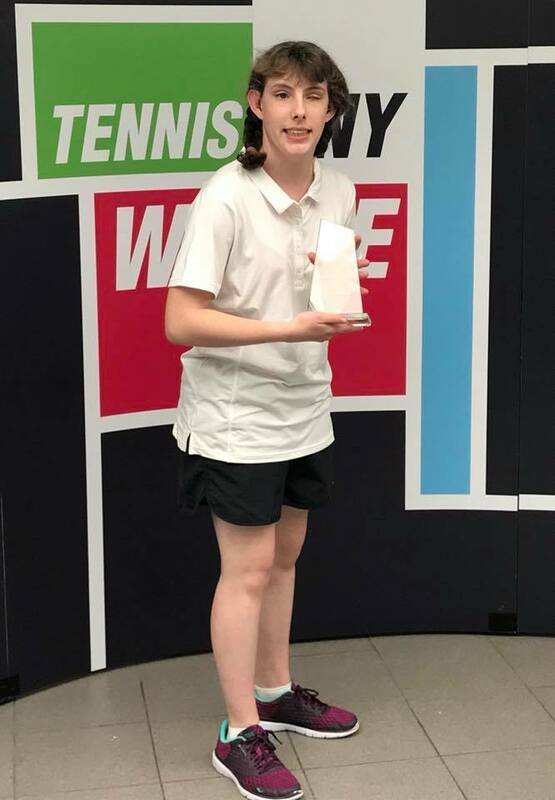 Well done to Lydia Wrightson who was Runner Up in the B4/5 ladies singles for the second year running at the Blind & Visually Impaired National Tennis Championships held in Loughborough on 19th-21st October 2018. Lydia (aged 16) played some fantastic tennis and should be a force to be reckoned with in years to come. 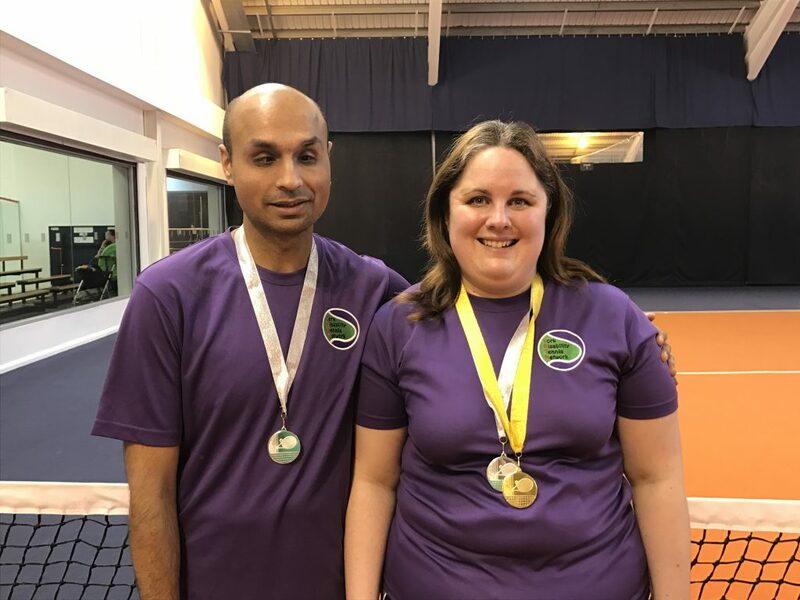 The Newcastle Blind and Visually Impaired Regional Tennis Tournament was held on 14th and 15th May 2018. Well done to Lydia Wrightson on another Runner-Up trophy for the ladies doubles with Andrea Logan from Glasgow. And despite no trophy in the Singles a huge congratulations goes to Lydia for finally beating Rosie Pybus 4-0! 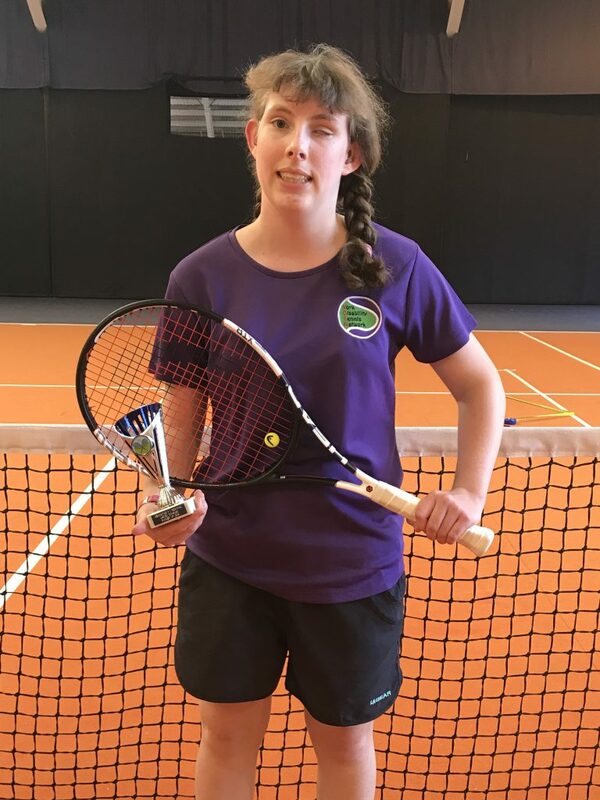 On February 24th 2018 15 year old Lydia Wrightson took part in the Blind and Visually Impaired Regional Tournament held in Loughborough. Lydia had a very successful day bringing back two runners-up trophies to York! 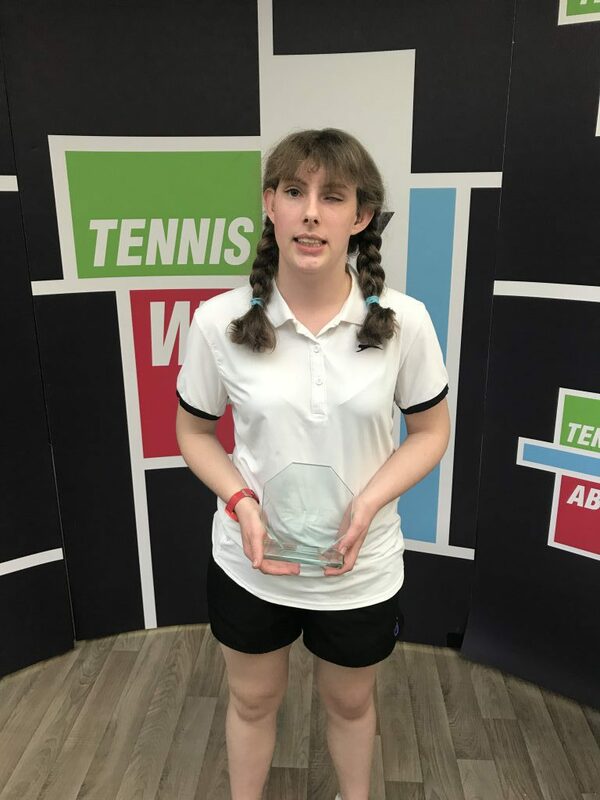 Lydia was runner-up to Rosie Pybus in the B4/B5 Ladies Singles and runner-up also in the Ladies Doubles with Joanna Turnbull from another club. Well done Lydia. 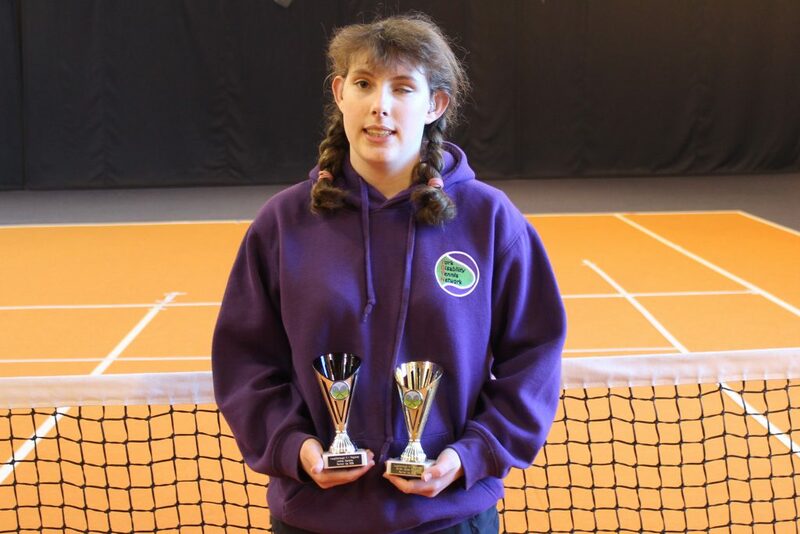 Well done to 15 year old Lydia Wrightson on a fantastic weekend at the 2017 National Blind and Visually Impaired Tennis Championships held at Loughborough on 6th-8th October 2017. Congratulations to Lydia on being Runner-Up in the B4/5 Ladies Singles. Another trophy to the collection! Well done Lydia. Congratulations to Kelly Nasir who won the B1 Ladies Singles title at the York Regional Blind and Visually Impaired Championships held at David Lloyd, York on Saturday 8th and Sunday 9th April 2017. And to Kelly and Qasib Nasir who came Runners Up in the B1 Doubles.